EVER. 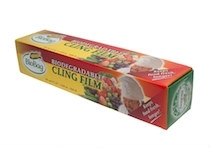 Based on renewable raw materials the BioBag Cling Film is made from GE (GMO) free plant and natural materials and biodegradable polymer, without plasticizers or additives that can transfer to foods. 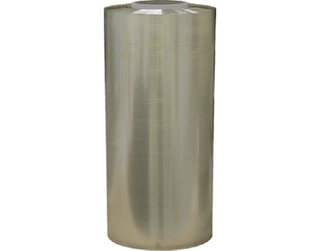 Internationally certified as compostable and biodegradable to European EN13432 and American ASTM D6400 standards. These standards require greater than 60C temperature to compost within 6 months, home composts however are usually less than 60C so it may take longer than 6 months to compost at home. 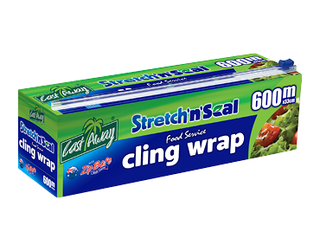 A unique feature that is ideal for food wrap is good moisture transmission, allowing foods to remain fresher longer without sweating, while still providing excellent protection against microorganisms and deterioration of food caused by exposure to oxygen. 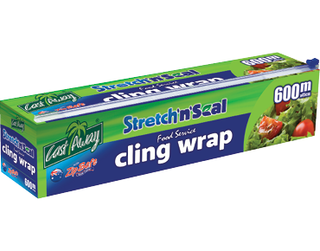 The Cling Film high odour barrier prevents transmission of odour to other foods. 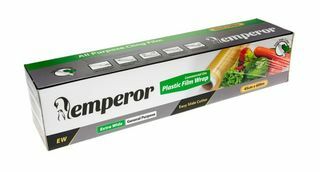 Good technical characteristics in terms of strength, puncture and tear resistance make this film equal or better than traditional cling films but with a unique feature, the ability to tear in a straight line, speeding handling and eliminating the need for a pack cutter. 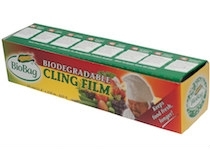 BioBag Cling Film also has very good elasticity and adhesion to itself, glass and ceramics. 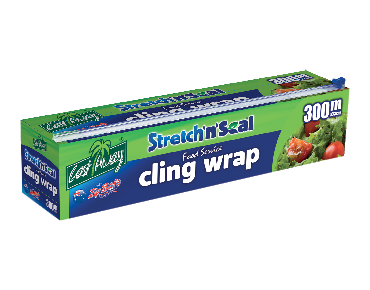 It will remain cohered in the freezer or microwave. There is one limitation however, being biodegradable it does have a shelf life so will deteriorate after a year or so, this means it is best to purchase what you need rather than carry excess.